The Charlottetown Islanders are in for the fight for their playoff lives tonight at Centre 200. 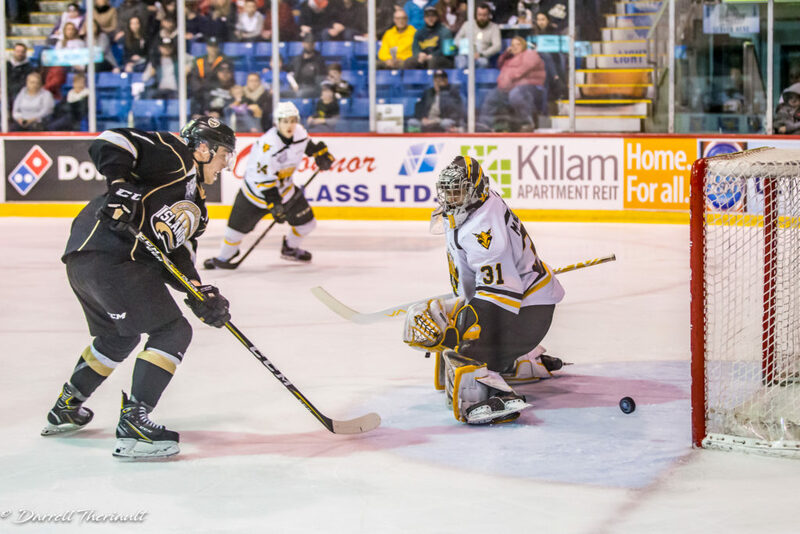 Down 3-2 in their best-of-seven series against the Cape Breton Screaming Eagles, the Islanders face a must-win situation in Sydney as Game 6 gets underway at 7:00pm tonight. Charlottetown played well in Game 5 at home on Friday night, but were undone by a Cape Breton 4-goal second period. 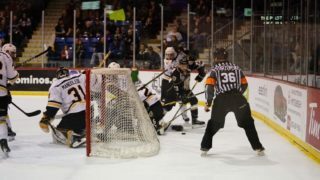 Despite some good push back in the third, the Screaming Eagles still came away with a 4-3 victory, their third straight victory in the series. Daniel Hardie has been an offensive catalyst for the Islanders all series long. With his three assists in Game 5, Hardie pulled in to a tie for second in the QMJHL with nine points in five playoff games. Not far behind him is linemate Nikita Alexandrov. The draft-eligible forward sits second on the Islanders and tied for 10th in the league with seven points. Awaking from a scoreless slump through the end of the regular season, 18 of Alexandrov’s 22 shots have been of the dangerous variety. One of the players that Hardie is tied with at nine points is Cape Breton forward Mitchell Balmas. The Isles have had troubles containing the former Memorial Cup champion, who’s recorded at least a point in each of the five games this series. Meanwhile in goal, Screaming Eagles netminder Kevin Mandolese has put forth a stellar series for Cape Breton. The big Ottawa Senators draft pick sits among the top-five in the QMJHL in goals-against average and save percentage, and is coming off a 32-save performance for the victory. Matthew Welsh, meanwhile, is coming off a tough outing in Game 5, allowing four goals on 25 shots. The netminder has a penchant for stepping up when the Isles need him to; it wouldn’t be surprising for Welsh to post a massive bounce-back performance with his teams’ back against the wall. The Islanders will play in front of a rabid Screaming Eagle fanbase once again tonight, something that Isles head coach Jim Hulton says is to be expected come playoff time. You can catch all of the exciting action across the airwaves with George Matthews and Cory Arsenault on Ocean 100’s Fair Isle Ford Isles Radio! Want to watch the game with fellow Isles fans? Head over to the Olde Dublin Pub, where they’ll be showing the game live on the big screen!